The allowed deviation of length is +0/-5mm, while the allowed deviation of width is +/-5 mm. 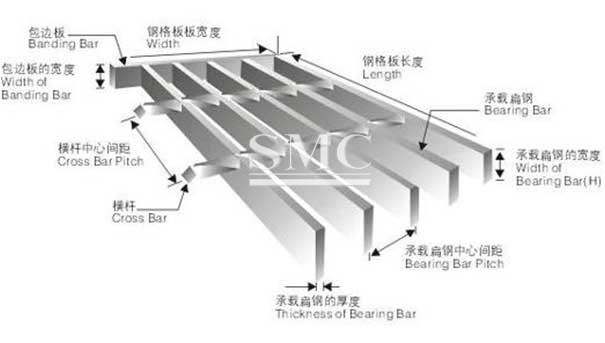 The non-perpendicularity of bearing bar is allowed no more than 10% of width of bearing bar. 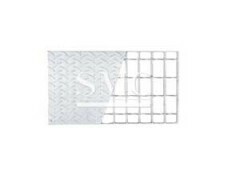 Cross bar surface should not surpass bearing bar surface 1mm, beginning & end of cross bar should not surpass the end surfaces of two sides of grating 2mm. One of the lateral aisles of Railway Bridge as distinguished from the central aisle or nave. They are virtually always straight, not curved. 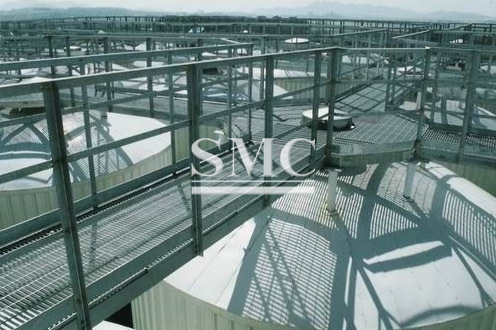 The hot-dip zinc surface treatment gives it a good anti-corrosion capacity, shiny surface appearance and durability for uses. The cutting, incision, opening, the package-processing procedures are necessary as customer demand for the finished product. 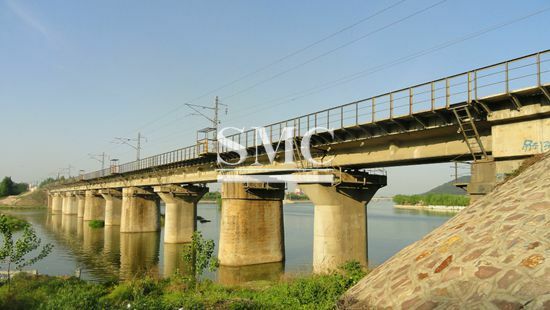 Its characteristics include high-intensity and light structure. 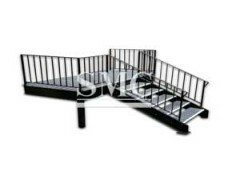 The grid is a firmly welded steel bar structure with a high capacity, light structure, easy loading and other characteristics like aesthetic appearance. 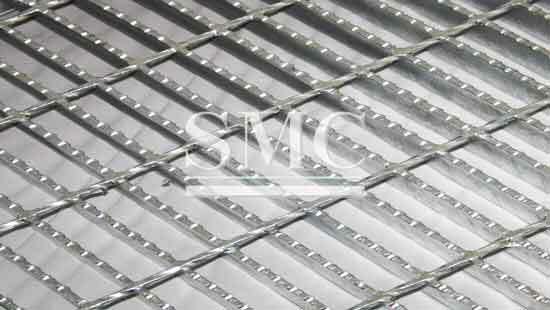 1) Steel grating with 30mm bearing bar pitch is the most widely used in industrial area. Among the general series, it maintains the strongest resistance to impulsive force. 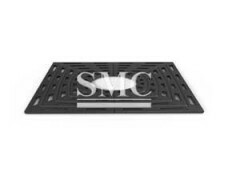 2) Steel grating with 40mm bearing bar pitch is one of the most economical & lightest types. It should be the best choice to customer on the occasion when the clear span is small. 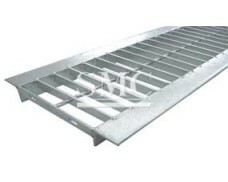 3) Steel grating with 60mm bearing bar pitch & 50mm cross bar pitch is developed specially for mining industry. As it can avoid the mineral splashing down on board, it’s appointed to use in fabrication plant, transfer terminal & other areas of mining. Type A saddle clip- composed of a top board with double hooks, a holding down plate with teeth and M8 inner-hexagon-bolt. Type B saddle clip- composed of a top board with double hooks (one of hooks can draw together the two neighboring steel gratings), and a holding down plate with teeth and a M8 inner-hexagon-bolt. Shanghai Metal Products are packed and labeled according to the regulations and customer’s requests. Great care is taken to avoid any damage which might be caused during storage or transportation. In addition, clear labels are tagged on the outside of the packages for easy identification of the product I.D. and quality information. 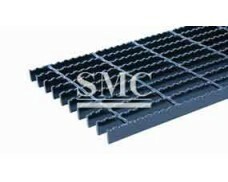 Shanghai Metal provides standard seaworthy packaging to our global customers to avoid damage during the delivery prcess. We can also meet the customers' requirement to pack the goods. 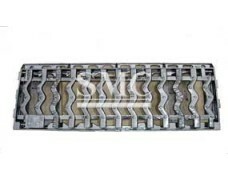 In general our product have a wooden pallet and fixed by flat steel strip. 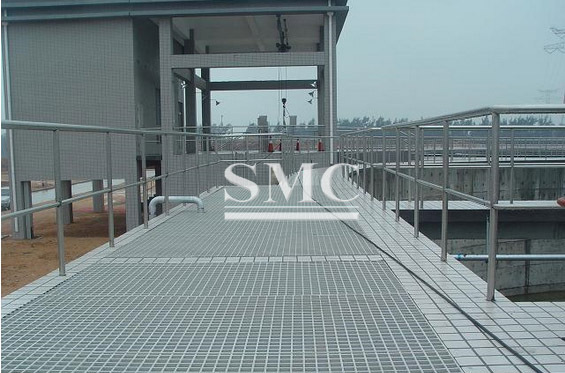 Steel grating can be used in the fields of flooring, catwalk, mezzanines/decking, stair tread, fencing, ramp, dock, trench cover, drainage pit cover, maintenance platform, pedestrian/crowded pedestrian, factory, workshop, motor rooms, trolley channel, heavy loading area, boiler equipment and heavy equipment area, etc. 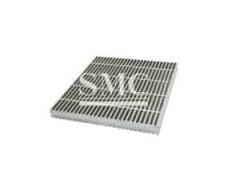 1) Plain: one of the most widely used gratings, available for flooring, sidewalk, drainage pit cover, stair tread, etc. * E-mail： Double check your email address, maybe you have spelling mistakes, thanks.